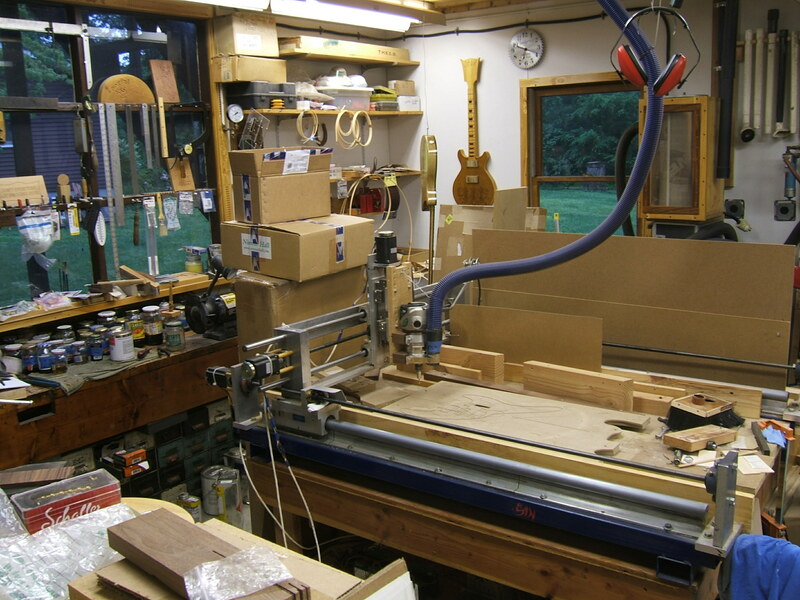 For the Bench Press column we ask a luthier what’s on their work bench… right this minute. 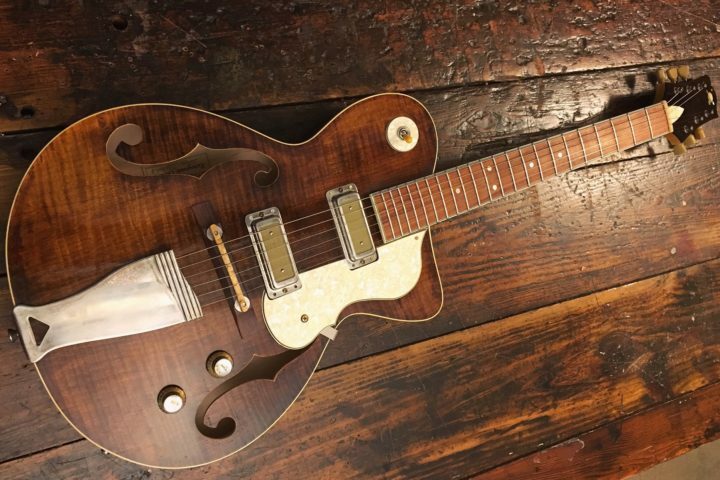 In this column we chat with Mark Stoleson of Stol Guitars. Mark is a one-man operation located in Guilford, Connecticut. Prior to building, Stoleson was a musician and mechanic by trade. Learn more about his creations on his website here. 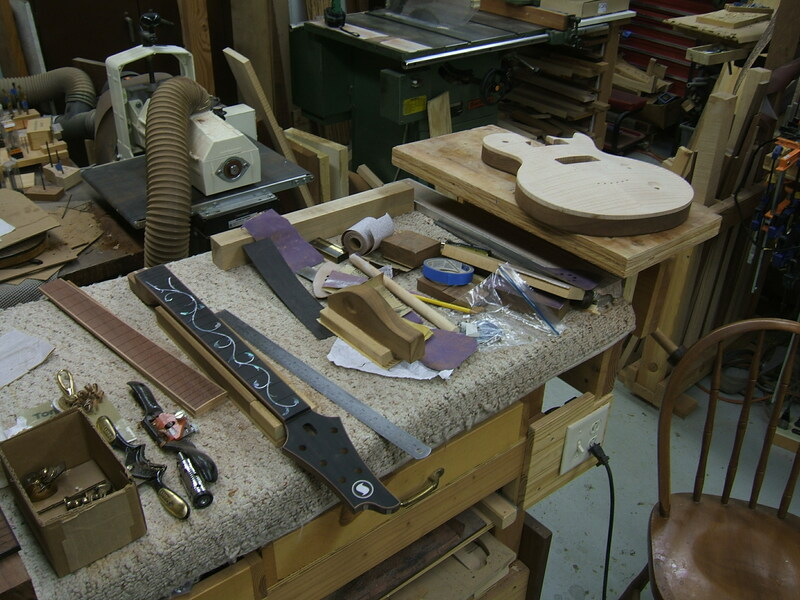 Fretboard Journal: What’s on your work bench right now? 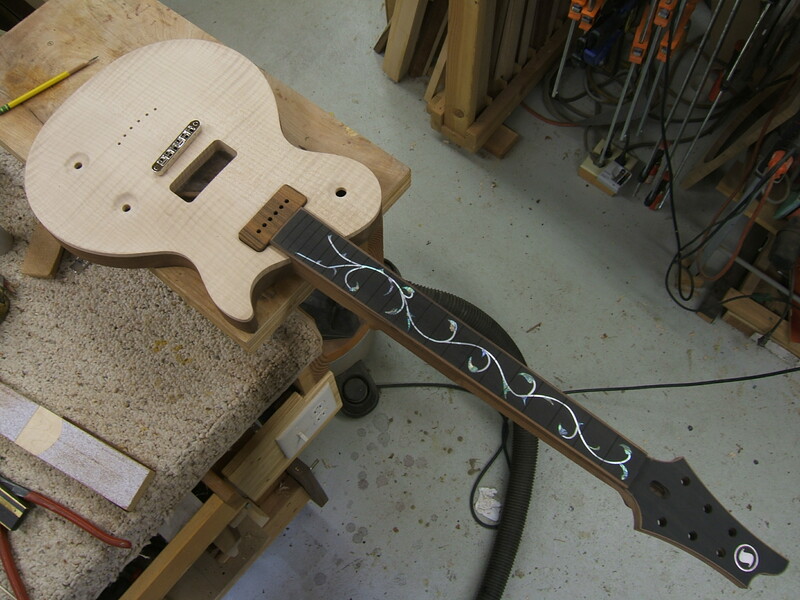 Mark Stoleson: I’m working on a guitar for Nick Caruso. I’m actually putting the binding on the side of it. I’m all done for the day, but that’s what I was doing. And getting the neck ready to be glued into place on it. FJ: Can you tell us a little more about the guitar? MS: Basically, it’s a Les Paul-style. It’s a mahogany back with a maple cap on it. It’s got a vine inlay on the fretboard. 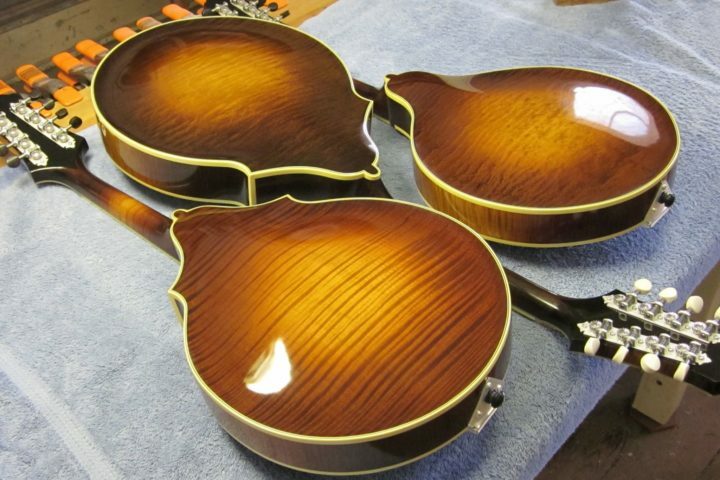 MS: It’s a natural finish, because the woods in this are really nice. It’s got a rosewood binding on it. It’s an ebony fretboard – some real nice wood. I think it will really show this one off well. FJ: How did you come across the wood? MS: I had gotten a bunch of mahogany way back in, I believe, 2010. It had been sitting in my shop because nobody wanted to use it because it was pretty heavy stuff. But it was really beautiful and really dark, nice stuff. It rings like a bell. FJ: What kind of electronics are going into it? MS: It’s standard thing with a treble bleed on it. It has Kinman P-90 pickups with rosewood covers that I made. It’s going to be a nice sounding guitar. Those Kinman’s are awesome pickups. 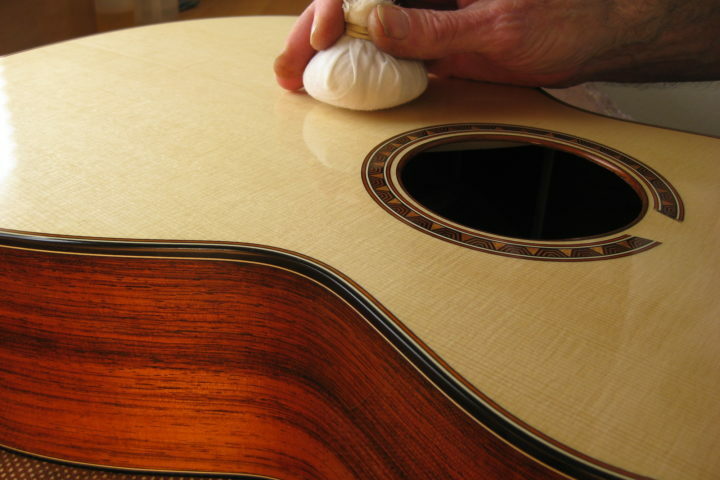 FJ: How did you become a guitarmaker? MS: I started all on my own, really. It started way back, though, when I was younger, in a band called Greed. I worked with Bob Feather on guitarbuilding, and I always tried to use wacky things, all of the time. I worked as a mechanic for a long time. I quit mechanics about ten years ago and started Stol Guitars. That’s basically the story. It’s been growing every year. It’s getting bigger and bigger and calls are really starting to come in now. So its starting to work now, I guess!